Wallpaper has been made a serious comeback in the past few years, so could we begin to see borders used in new and fresh ways? Never say never. 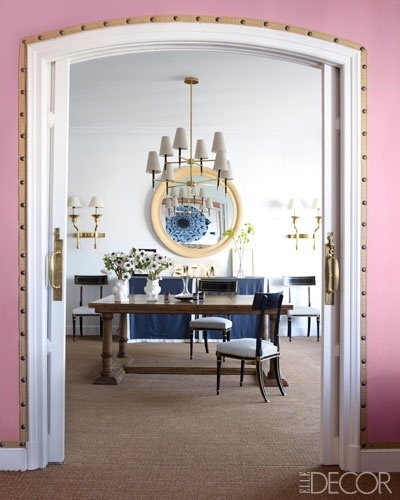 The lovely dining room by Anne Wagoner Interiors is a perfect example. Gone are the green and burgundy, mallard duck borders of my youth...the 80's. I can remember ones with hunt scenes, clothes lines, bows and cabbage roses. Back in the day…they were used mainly directly under the crown molding and above a chair rail. 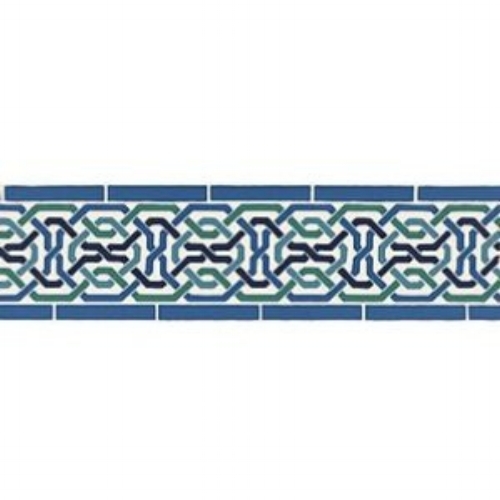 Borders can also be used around door casings, to create stripes, on the ceiling or to create architectural interest. Let’s look at a few ways I think borders can be incorporated in design today. The border below is classic 1980’s…not so fresh. This narrow border is much better. While this design is a bit busy for my taste, I do love how the border trims the door casing. The following are 3 different kinds of borders that you might consider and a few fresh ways of using them. 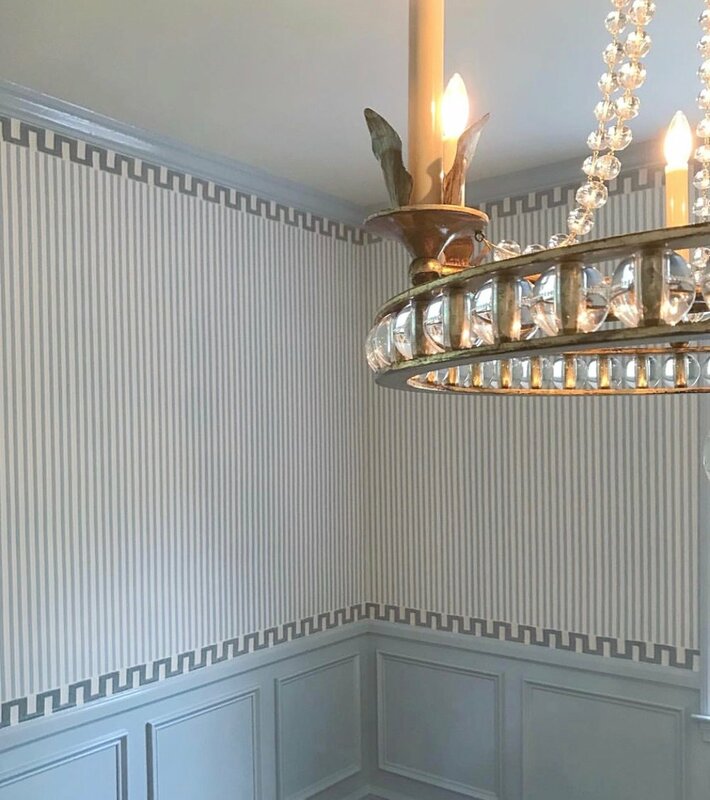 Again, this stunning dining room designed by Anne Wagoner Interiors illustrates a gorgeous, current wallpaper border used in a classic way. 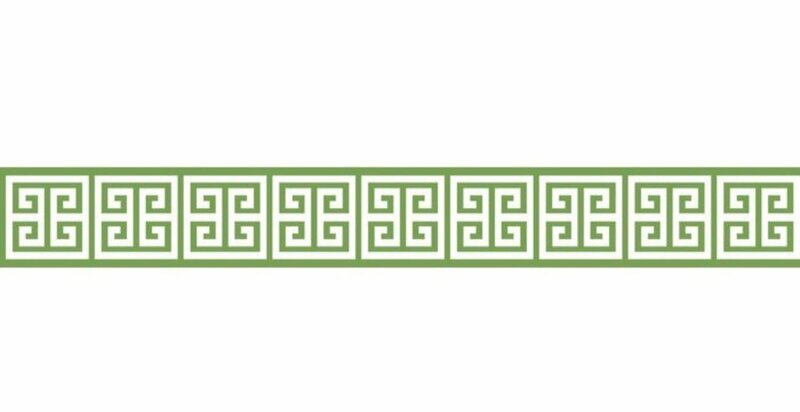 Stenciling is another technique used to “border” a room, create stripes or add architectural detail. Below are just a few stencils that would work well. Bordering anything with ribbon trim is one of my absolute favorite techniques. Designer Lisa Mendes has an excellent tutorial on how to trim a room with grosgrain ribbon and nailhead trim. You can read it here. As I have stated in a previous blog post, this is NOT a new technique. Top designers have been using it in projects for decades. It can be seen in this interior by Sarah Bartholomew. While this post just scratches the surface when it comes to new ways to frame or border a space, I hope it has inspired you to consider “outside the box” options to create a unique interior of your own. Special thanks to Anne Wagoner for allowing me to use her beautiful images. If you haven’t checked her site out before, do so…it’s a real treat!